There’s another “magnetic content” out there (besides me). 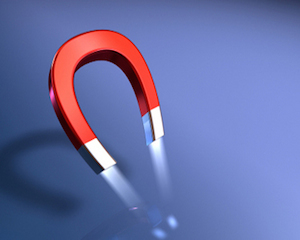 Imagine my surprise when a friend alerted me to a company called Magnetic Content, which is a content marketing agency. A rival, if you like, because not only are they implementing content marketing, they also do training. So, I thought I would write a feature about them. Why? Because every true content marketer will write about their rivals. After all, you might prefer to hire the team from Magnetic Content – which was started in March this year by Brian Corrigan, a man with a perfectly fine journalistic pedigree – rather than me. What I care about, as a content marketer, is that you are fully informed about the market – and can make your own buying choices. It turns out, too, that I really like what Corrigan’s Magnetic Content business is doing, and why they are doing it, and I reckon you might like him too. I decided to give Corrigan a ring. What did I discover? Corrigan, another former Fairfax journo (like me), is the brains behind this new agency. Corrigan’s new venture has the backing of a heavyweight parent company, public relations agency, Spectrum Communications. Spectrum, in turn, is owned by the 125-year-old printing giant, IPMG, which last year turned over $400 million, according to IBIS World. Corrigan, as I mentioned, is an experienced journalist. After moving here from the UK, he edited Fairfax tech mags such as MIS and CIO (acronyms that techie people understand) and the online edition of The Australian Financial Review. He set up meetings with half a dozen agencies, and landed a job with Spectrum. “We spent four months developing Magnetic Content and the range of service we would take to market,” he says. Corrigan breaks down the process for his clients into these five steps: plan, create, share, measure and enable. While he takes a thorough approach to the first three steps, it is in the last two categories that Magnetic Content (the second) adopts a decidedly different tack to other agencies in the market. What’s the future for all this magnetic content? Corrigan believes that in 10 years’ time, most organisations will have their own branded newsroom, like ANZ’s BlueNotes. This will change the content they produce. “The big thing about this kind of content is the philosophy: it is about trust and relationship, not about product and service. It is flipping marketing on its head and talking about the issues – that is the name of the game,” he says. I’d prefer that you came to my site to read about those agencies and decide if they are right for you. That’s why I love content marketing. It is about respect: with enough information, we all make decisions we feel are right. That is the world I want to live in.